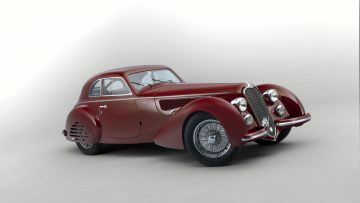 A 1939 Alfa Romeo 8C 2900B Touring Berlinetta achieved $19,256,750 at the Artcurial Paris Rétromobile sale as the most-expensive car sold at public auction thus far in 2019. 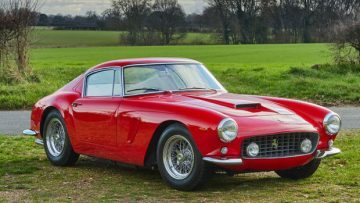 The ten most-expensive cars sold at public auction thus far in 2019 include seven Ferraris, an Alfa Romeo, a Serenissima Spider and a Porsche. The top four are a 1939 Alfa Romeo 8C 2900B Touring Berlinetta, a 1963 Ferrari 250 GT SWB Berlinetta, a 1958 Ferrari 250 GT Tour de France Berlinetta and a 1953 Ferrari 250 MM Spider. 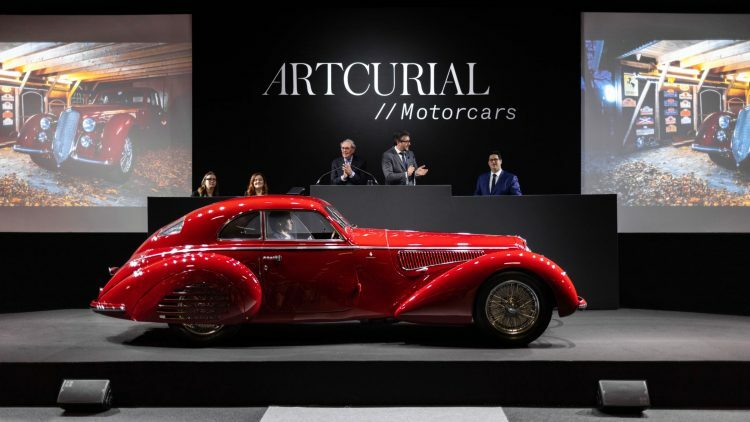 A 1939 Alfa Romeo 8C 2900B Touring Berlinetta sold for €16,475,000 ($19,256,750) as the top result at the Artcurial Paris Rétromobile 2019 classic car auction. The 1939 Alfa Romeo 8C 2900B Touring Berlinetta, chassis #412024, was the second of only 5 examples built with the Carrozzeria Touring berlinetta coachwork. Alfa produced fewer than 50 of the 8C2900 chassis. The last one to have sold at auction was a 1939 Alfa Romeo 8C 2900B Lungo Spider that set the marque record at $19,800,000 at the RM Sotheby’s Monterey 2016 sale. 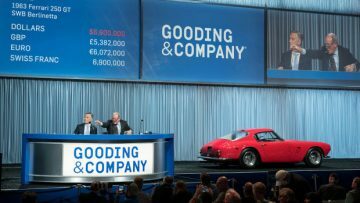 The 1963 Ferrari 250 GT SWB Berlinetta with coachwork by Scaglietti, chassis 4037 GT, sold for $7,595,000 at the Gooding Scottsdale 2019 sale. The result was at the top end of a surprisingly modest presale estimate. This Ferrari 250 GT was the fourth to last of 166 SWB cars produced and one of only 96 Lusso SWB Berlinettas built. As a late production car, this SWB offers the refinements made over the course of the model’s production, including a bigger windshield, more luxurious seats, and a leather dash. It had a string of owners including Nicolas Cage (in 2006). 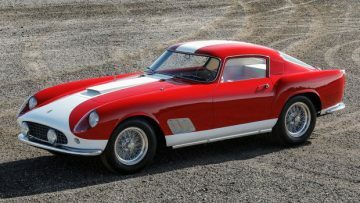 The 1958 Ferrari 250 GT Tour de France Berlinetta, chassis 1037 GT, sold for $5,890,000 at the Gooding Scottsdale 2019 classic car auction. This car was the 19th of 36 single-louver Tour de France Berlinettas produced (out of a total 78 made). The extremely rare 1987 Ferrari F40 LM, chassis 74045, sold for €4.3842,500 ($5,568,875) at the RM Sotheby’s Paris 2019 sale. This was a new model world record and more than $2 million higher than was paid for an F40 LM in 2015. This F40 was originally used a a prototype car during the development of the F40 but converted by Michelotto in 1992 to LM specification. It was finally raced at the 1995 Le Mans 24 Hours race where it finished 12th. It also raced in the BPR Global GT series and is considered the most successful F40 LM racer. 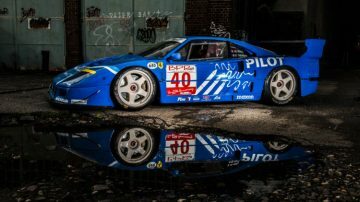 It was sold in the Le Mans racing livery of French blue with Pilot sponsoring. 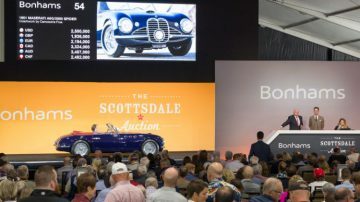 The 1953 Ferrari 250 MM Spider, chassis 0348 MM, sold for $5,395,000 at the Gooding Scottsdale 2019 sale. The result was just below pre-sale estimate. This car is one of just 12 Vignale Spiders built on the 250 MM chassis. 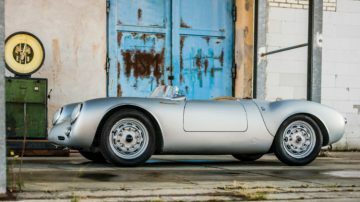 A 1956 Porsche 550 RS Spyder by Wendler sold for a fair €3,042,500 ($3,500,000) – the second highest result at the RM Sotheby’s Paris 2019 sale. This 1956 Porsche 550 RS Spyder was originally delivered to the Ecurie Nationale Belge racing team and was extensively raced in period by amongst others Gilberte Thirion – she drove the car to victory in the 1956 Course de Côte de la Roche-aux-Faucons hill climb. The 550 RS Spyder went on to contest the 1956 24 Hours of LeMans, 1957 1000 KM of Nürburgring and 13 additional races. It is one of only ten 550s to have ever raced at Le Mans. 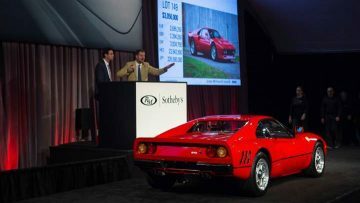 A 1985 Ferrari 288 GTO sold for a very strong $3,360,000, as the surprised highest result at the RM Sotheby’s Arizona 2019 sale. 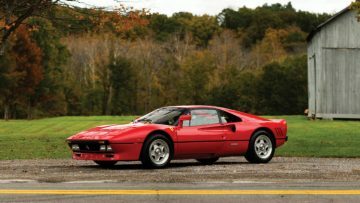 This 288 GTO is a US-specifications model with only 2,900 miles on the clock. The Ferrari 288 GTO was built to comply with homologation regulations for the FIA Group B rally but the series was cancelled before the 288 GTO could compete. Only 272 of the Ferrari 288 GTOs were produced – far fewer than of later Ferrari supercars. 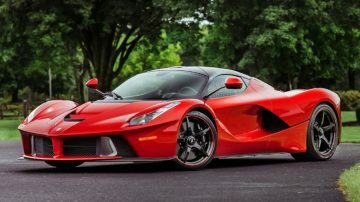 The top result at the Mecum Kissimmee 2019 classic car auction was $3,300,000 paid for a 2014 Ferrari LaFerrari from the Michael Fux collection. The result was a few hundred thousand dollar less than was commonly accepted for LaFerraris in 2017 and average for 2018 results. This 2014 Ferrari LaFerrari is a low mileage example – 418 miles – and delivered in special order Rosso Fuoco paint. 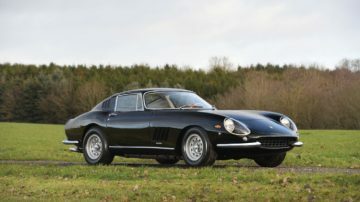 The 1966 Ferrari 275 GTB/6C Alloy Berlinetta by Scaglietti sold for €2,860,000 in a post-hammer deal advantageous to the buyer at RM Sotheby’s Paris 2019. This Ferrari was the first of eight long-nose, six carburettor, torque-tube 275 GTBs produced with alloy bodywork. It is a matching-numbers car recently restored to its original color scheme of nero over beige. January 2019 – 25: 2 at Kissimmee (Mecum), 23 at Scottsdale, Arizona (3 Bonhams, 9 Gooding, 6 RM Sotheby’s, 5 Barrett-Jackson). 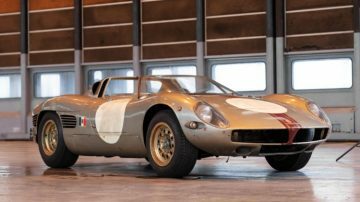 February 2019 – 19: 19 at Paris Rétromobile (10 RM Sotheby’s, 6 Artcurial, 3 Bonhams). 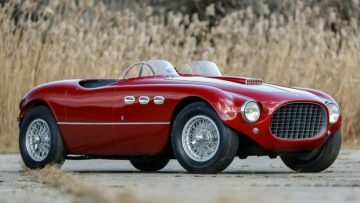 March 2019 – 20: 17 at Amelia Island (9 RM Sotheby’s, 6 Gooding, 2 Bonhams), 1 at Phoenix (Mecum) and 2 at Fort Lauderdale (RM Auctions). March 2019: Amelia Island (Bonhams, Gooding, RM Sotheby’s, Russo and Steele), Phoenix (Mecum), Fort Lauderdale (RM Auctions). April 2019: Goodwood Members (Bonhams), Houston (Mecum). 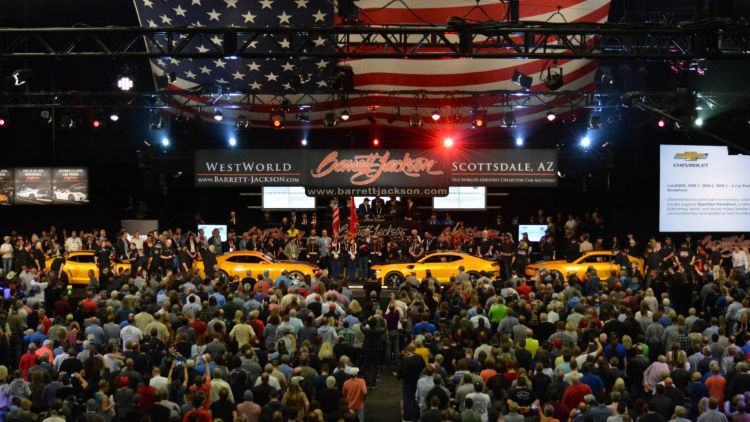 April 2019: Tupelo Automobile Museum New York (Bonhams), Essen (RM Sotheby’s), Palm Beach (Barrett-Jackson).